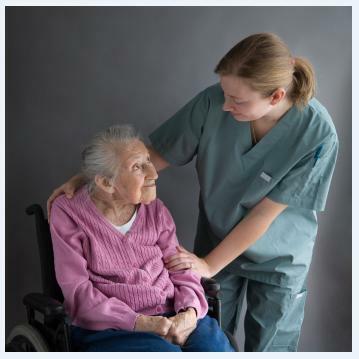 Whether you have been looking for a reliable home care agency for several weeks or have just begun your search, you may be feeling a bit overwhelmed. Many families navigate the mysterious world of elder care without really knowing what to expect – or what to look for. If an illness or injury has prompted your family to investigate senior care options, you may feel rushed and under pressure to make decisions quickly. Often this can lead to choosing services that are more expensive than necessary, or leave vulnerable seniors open to elder abuse or fraud. Home care is a fast-growing industry where many workers lack the training and skills needed for quality caregiving. It’s important to research potential agencies and look for solid reputations, ask for recommendations, and find an agency that offers real-time supervision to patient point-of-care with a dependable home care system or home care software. ClearCare Online’s home care system keeps families connected by giving them real-time visibility to their loved one’s daily care. Family members can log into ClearCare Online’s Family Room to see updated daily care logs, view schedules and invoices. Finding skilled elder care workers may take time, but it can be accomplished when families ask the right questions. Before interviewing potential agencies, make a list of the requirements that are important to you, and what you hope to achieve with the home care arrangement. In addition to asking if the agency offers a home care management solution, such as ClearCare Online’s home care system, it’s crucial to find out what types of caregivers the agency employs, and how they screen those caregivers. Not every state requires certifications for home caregivers, and not every agency takes the time to properly train their staff. Be specific when asking about what kind of training each caregiver has before being allowed to work in the field. Agencies that use a sophisticated home care software program like ClearCare Online can pull up their caregiver’s certifications and credentials with just a click of the mouse. Paulina Testerman, an independent home care provider in Florida, has seen many clients “close their eyes and jump” into a caregiver relationship. This can be risky and lead to problems down the road. Experts agree that due diligence is needed when choosing a caregiver, so start your research now – before a crisis arrives. Remember to ask each agency to show you the value they can provide with ClearCare Online’s home care system and home care software, and how such technology will keep your loved ones safe.